Sharebox makes it easy to hand over keys to local or international guests. Caption: Tourists on the way to the train going downtown. If they have rented your apartment, you need to find out how they get the key. Should you lend your apartment or car and are unsure when you leave the key under the doormat or in your mailbox if you're not home? Then go to a 7-Eleven store and deliver them in a locked box instead. 7-Eleven will now also have a bite of the popular Airbnb cake. 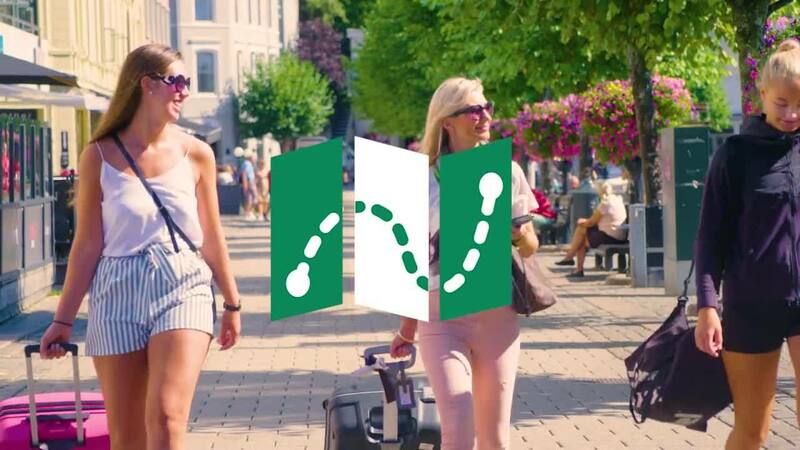 At least, the kiosks in Norway have partnered with Sharebox, which specializes in key delivery, relevant when using such sharing services as Airbnb, booking.com or Nabobil. The need for safe and convenient exchange of keys has increased significantly after the spread of the sharing-economic services. With the central locations in Norway's largest cities it is up to 7-Eleven to go in and solve the task. When you drop the key at 7-Eleven in Norway, use your phone to tell who to retrieve it - and then the 7-Eleven app tell Sharebox to send a personal code to your guest so nobody else gets close to your keys. The guest presses the code, or use the app, when she arrives and then the box pops up. Open or download the Norwegian 7-Eleven app, Google Play or App Store, and get 12 hours for free. Try it out, you wont regret! It costs nothing the first 12 hours to share a key in a box at 7-Eleven in Norway. 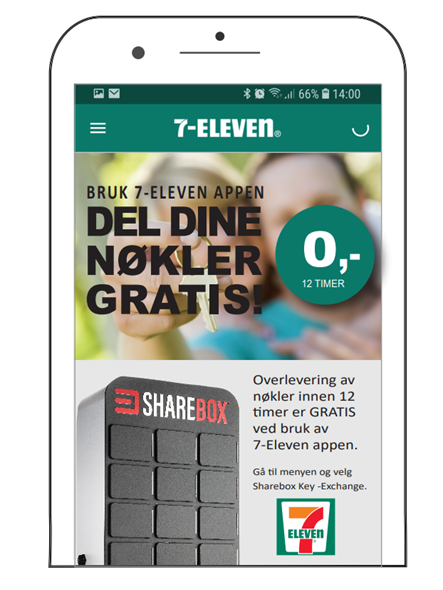 In addition to the agreement with 7-Eleven in Norway, Sharebox is available in stores and kiosks in Denmark, Sweden, Spain, Estonia, Latvia and London, UK.